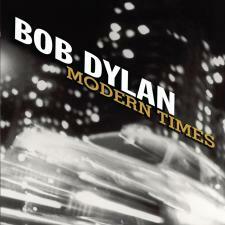 Modern Times became the singer-songwriter's first #1 album in the U.S. since 1976's Desire. At age 65, Dylan became the oldest living person at the time to have an album enter the Billboard charts at number one  (Neil Diamond has since earned the title). It also reached #1 in Canada, Australia, New Zealand, Ireland, Denmark, Norway and Switzerland, debuted #2 in Germany, Austria and Sweden. It reached #3 in the UK and The Netherlands and has sold over 4 million copies worldwide. As with its two studio predecessors, the album's packaging features minimal credits and no lyric sheet.